Make any sports fan’s birthday party a real slam dunk with this Basketball Pinata. 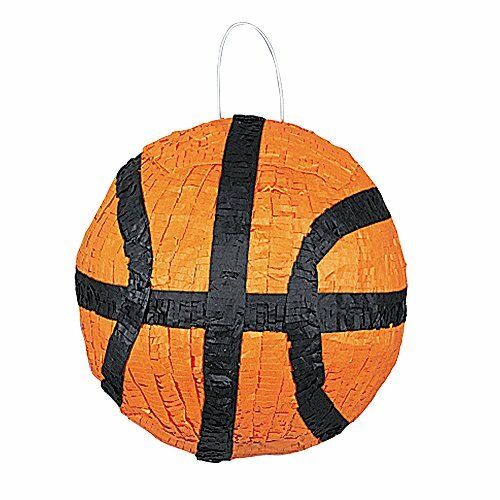 This basketball shaped pinata is not only a fun party game, but also a great party decoration. Fill this pinata with your own party favors and birthday treats, then have blindfolded guests take turns trying to break open the pinata to unleash all the goodies. Coordinate this pinata with matching solid color party decorations and basketball theme party supplies for an action-packed celebration.